If there’s one area in which the House health care reform bill is obviously superior to the Senate version, it’s coverage and affordability. There’s more financial assistance for buying insurance and much stronger protection against out-of-pocket medical costs. That means more people getting coverage and fewer people struggling with expenses. 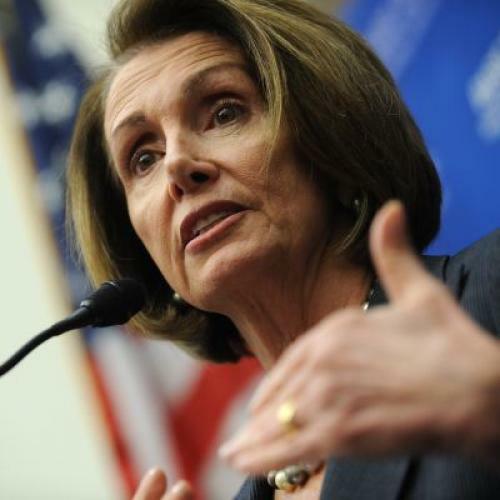 Speaker Nancy Pelosi and her allies, both on and off Capitol Hill, have made clear this is one of their top priorities for the coming negotiations over how to merge the two pieces of legislation. And it would seem, at first blush, like one of the rare points on which the House might actually get its way. After all, who wouldn’t want to offer people more financial assistance and security? It’s not just good policy. It’s good politics. Or is it? The reason the House bill does more is that it costs more: Over ten years, it would spend an additional $166 billion on expanding and improving coverage. The House was willing to do this because it was willing, and able, to pay for the extra cost through additional revenue and savings. But the Senate couldn't come up with as many "offsets," as they're called in congressional parlance. Partly that was because centrists, like Budget Committee Chairman Kent Conrad, kept pushing to shrink the bill out of sheer principle. And partly that was because the Democratic leadership struggled to find a combination of offsets that sixty members would accept. Virtually every idea raised objections from some member or group of members. Usually it was the same set of senators who wanted to keep the bill small--that is, the centrists. But on some occasions it was more liberal members responding to parochial or moneyed interests. By all accounts, these same obstacles remain today. Centrists in the Senate still don't want the bill to get bigger. Ben Nelson has indicated he'd jump ship, and support a Republican filibuster, if the final package comes back with a substantially larger price tag. Conrad and Joe Lieberman have made similar noises. And while the centrists may tolerate slightly higher spending--at the very least, it could go from the Senate's $871 billion to at or just above $900 billion, the infamous figure President Obama used in his September speech--the task of finding new offsets that won't lose at least one member of the caucus remains difficult. Taxes. The Senate bill's primary source of new revenue is a tax on expensive health benefits. But expanding it is a political non-starter, since liberals with ties to labor oppose it strongly. If Reid hadn't scaled it back from the proposal Finance Chairman Max Baucus got out of committee, it might not have survived at all. One solution would be to adopt, at least in part, the House's primary revenue source: Higher income taxes on the very wealthiest Americans. But while more liberal senators like Jay Rockefeller have long supported this idea, those pesky centrists have always objected. The most viable alternative might be to expand the Senate's other revenue raiser: Payroll taxes on the wealthy. Majority Leader Harry Reid incorporated the proposal relatively late in the process, in order to make up for income lost when he agreed to reduce the benefits tax. And the centrists went along, even though it was effectively a new tax on the wealthy, because the payroll taxes were earmarked for Medicare. As such, it constituted money "from within the health care system." A logical way to expand the tax, without hitting more people, would be to apply it to more income. At the moment, it applies only to wages. But high-income earners get a lot of their income from investments. Of course, the same senators who oppose higher income taxes on wealthy tend to oppose higher taxes on capital gains--so it's not clear, ultimately, whether they'd go for this. Industry savings. You hear a lot about how the Senate bill is better than the House bill on cost control. Mostly that’s because it includes the benefits tax, which most economists think will slow down health care spending, and because it would create an independent commission to calibrate Medicare payments. But when it comes to making cuts that will take money out of the pockets of specific parts of the health care industry, right away, the House bill is actually more aggressive. The House bill takes an additional $70 billion from the drug industry and an additional $50 billion from the private Medicare Advantage plans serving seniors. Rewriting these portions of the Senate bill, so they look more like the House versions, would be another easy way to generate more cash that could go towards affordability. Asking the drug industry to give up more money than the Senate bill stipulates is a particularly appealing option, since the Senate's figure grew out of a deal, brokered the White House, widely seen as too favorable to the industry. The drug industry itself has hinted it could live with such a modification, perhaps because that deal has generated so much bad publicity. But if the drug industry gives up more money, it's almost certainly going to go towards filling the “donut hole” in Medicare prescription drug coverage--one of reform's essential political ingredients, since it provides seniors with a clear benefit and provides the AARP with reason to endorse the bill. And if the money is going to the donut hole, it can't go towards affordability for non-seniors. The interest group politics of the Medicare Advantage cuts are a bit easier to navigate, because the insurance industry doesn’t have a lot of friends on Capitol Hill these days. Still, cuts to the program spook senators with large numbers of retirees currently enrolled in Medicare Advantage plans, since insurers might reduce benefits or stop offering policies altogether if the lavish federal subsidies go away. Employer responsibility. The House has a straightforward requirement on all but the smallest employers: Companies that don't provide workers with coverage must pay up to 8 percent of payroll to the government, depending on payroll size, in order to underwrite the cost of subsidies. The Senate has a much weaker requirement. And the difference is stark: More than $100 billion in revenue. But there’s a reason the Senate didn’t go for a stronger employer role in the first place: It’s toxic to the business community, particularly the small business community. And that means it's toxic to members like Louisiana's Mary Landrieu, who (not coincidentally) chairs the Committee on Small Business. It's not hard to imagine a grand bargain here. In fact, it's blindingly obvious. House members, like their liberal counterparts in the Senate, hate the tax on benefits. Pelosi remninded President Obama of that on Tuesday, during a meeting at the White House. In exchange for agreeing to the benefits tax, the House could demand that the Senate meet them halfway--say, by agreeing to something like the House's employer contribution. If the compromise also included a slightly higher Medicare tax and the House cuts to Medicare advantage, the offsets would be enough to close much, if not all, of the gap between the two bills. That would be a significant improvement over what the Senate has now. The deal sounds particularly appealing when you consider that the House has already made huge concessions, starting with its apparent willingness to shelve the public plan--which, by the way, would have saved more money, making the affordability problem easier to solve. The X factor in all of this is Obama. In that Tuesday meeting, Obama indicated that he’d also like the final bill to have stronger affordability protections. Nancy-Ann DeParle, his chief health care advisor, has said the same thing previously. But will Obama push to get those offsets? And will it matter if he does? The answer to both questions--like the ultimate resolution of this issue--remains unclear. Update: Upon reflection, my reference to Tim Noah and the fact that liberals will get nothing for concessions was a stronger statement than I intended. Liberals don't have a lot of leverage, but they do have some. And it's fair to expect at least some concessions in return for whatever liberals give up. So I softened it up a bit.